No sheathing, fluid-applied air barrier, polyiso insulation, mesh-type drainage insert, slot-type adjustable anchors, painted wallboard on steel studs. BIM is expanding quickly within the construction industry worldwide. However, the masonry industry is not well represented. Therefore, developing BIM tools for masonry is needed to maintain market share. With that intent, an Initiative was formed in 2012 specifically to advance BIM for masonry. 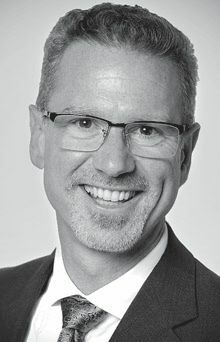 One might think of the development of electronic tools that converge the design and construction processes to result in greater efficiencies in delivering well-designed, high performing masonry buildings. The BIM for Masonry website (bimformasonry.org) states the mission above succinctly. In its early but substantive history, BIM-M has indeed developed a variety of tangible tools and resources designed to assist design professionals with production, GCs and CMs with coordination and mason contractors with construction. But at its core, BIM-M embodies concepts that are far more basic, concepts that encourage designers to re-think their approach to designing and building with masonry by eliminating any potential barriers. Working closely with BIM-M, International Masonry Institute (IMI) has embarked on a project that seeks to eliminate such barriers by presenting masonry as a simple and well-organized solution to any design problem: a comprehensive and smart Wall Systems Library. The Wall Systems Library (WSL) was conceived with some very basic goals in mind. WSL will simplify the process of specifying masonry for design professionals, standardize the way masonry walls are identified and considered and summarize useful data unique to each wall. WSL takes a potentially complex system, a masonry wall, and simplifies it by representing it as a collection of eight (or fewer) subassemblies. In lieu of tackling the larger problem of designing a wall from scratch, the designer is presented with eight micro-decisions that inform the design of the wall. This results in a logical, linear decision-making process, making masonry more approachable as a user-friendly design system. Eight subassemblies common to masonry wall systems may include – see Figure 1. Note that Structure subassembly refers to the structure of the wall, not the building’s framing system. It should also be noted that Structure is really the only required subassembly, i.e. a single wythe masonry wall is an example of a wall with only one of the eight subassemblies. The other subassemblies are listed because they are often included in more complex masonry walls. A masonry wall will contain at least one, but never more than eight subassemblies. WSL will standardize how masonry walls are identified and considered. Standardization in terms of wall names and numbers will unify the masonry industry and will introduce a system for classification that will be helpful to design professionals. The numbering system in the WSL, which may be adopted by the masonry industry at large, is logical and flexible. It may be considered to fall under the heading of B2010 Exterior Walls in the Uniformat system per ASTM E1557 Standard Classification for Building Elements. WSL assigns each masonry wall a unique three-tier number beginning with a very basic first tier, a more descriptive second tier and a third tier communicating even further detailed wall properties. The first tier in the number is a simple indication of the exterior material. If an architect wants the appearance of a brick wall, a dimension stone or terra cotta wall, the first tier digits would be 01, 04 or 10 respectively. Tier 1 is intentionally simple, since this is one of the first decisions an architect makes. The second tier is indicative of the wall’s system and its structure. WSL acknowledges three basic systems of masonry walls as defined by building codes and other masonry industry conventions. 010. 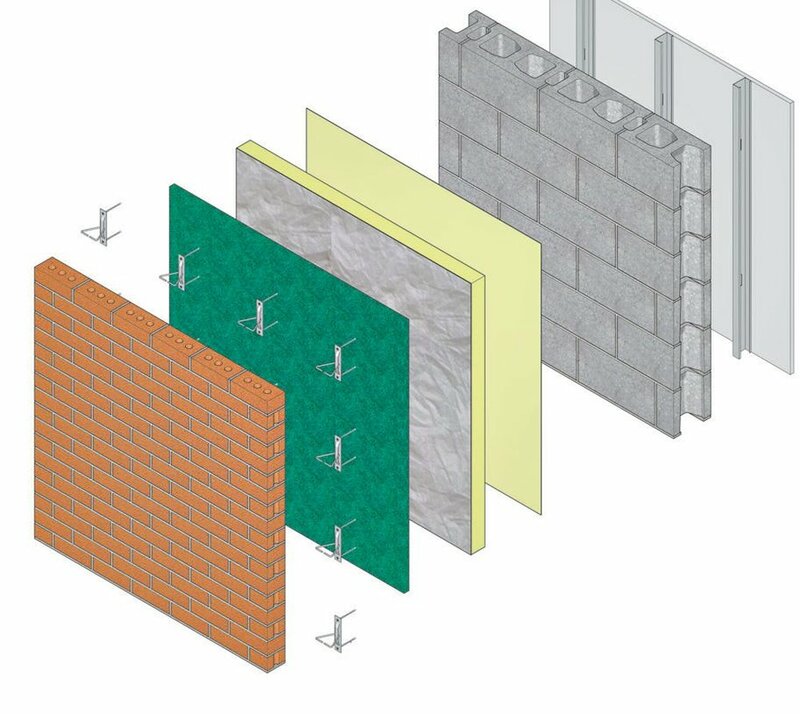 Single wythe masonry wall systems. This category includes CMU of various thicknesses, autoclaved aerated concrete (AAC), structural clay brick or stone masonry walls. 030-060. Anchored veneer masonry wall systems. This category includes veneer on masonry backing and veneer on steel stud, wood stud or concrete backing. Dimension stone walls fit into this category as well as most anchored rainscreen systems. Anchored veneer is probably the most prevalent of the three systems and therefore, more detail is built into the numbering tier, primarily to communicate variations in the wall’s structure. For example, the 030 series is anchored veneer on masonry backing, and 040 is anchored veneer on steel stud backing. Wood stud and other types of backing are also accommodated in the second tier. The final digit in the second tier may be further defined in order to indicate nominal thickness of the backing which informs structural, thermal and fire-resistive properties. First tier represents the wall’s exterior material, second tier indicates structure and system, third tier communicates remaining applicable components. 070-090 Adhered veneer masonry wall systems. This category includes thin brick, thin stone (natural or manufactured), stucco, plaster and EIFS systems. This tier also affords the level of detail to describe the structural backing behind the adhered veneer, whether masonry, steel stud or wood stud. As the first tier represents the wall’s exterior material and the second tier indicates the wall’s structure and system, the third tier in the number communicates the remaining applicable components of the wall: sheathing, air/moisture barrier, insulation, drainage, attachment and interior finish. This is a lot of information for one tier, but it is easily translatable as the six digits in the tier directly correspond to the six sub-assemblies listed. Soon, WSL may be translated and converted into BIM families or elements that interface with Revit and other BIM platforms, maintaining attributes and enriching with relevant data like acoustic properties, fire-resistive properties, weight, R-values and cost data. If the numbering system seems familiar, it follows the precedent set by IMI’s Masonry Detailing Series (MDS) (imiweb.org/masonry-detailing-series), originally published in 2007 and used by thousands of architects. There is parity among the first two tiers of MDS and WSL numbers. WSL is being formulated to eventually equip design professionals working in BIM by embedding a summary of design data within each wall. In the future, WSL walls may be translated and converted into BIM families or elements that interface with Revit and other BIM platforms, maintaining their attributes and enriching the model with relevant data like acoustic properties, fire-resistive properties, weight, R-values and possibly even cost data. WSL will initially be launched without this smart data feature, but the data can be added by the developer or by the user at a later time, again taking advantage of the system’s flexibility and ability to be adapted. By design, the Wall Systems Library is limited in its scope. Its primary value is in the design development phase of a project and early into construction documents. It serves as a springboard to the architectural detailing of the wall, but it is not a detailing guide. It will inform the architectural specification, but it is not a specification itself. While it is true that WSL is a graphic platform and it could evolve into a BIM model or other graphic communication device, its primary purpose is to inform major decisions about the general makeup of a masonry wall early in the design process. Interactive features of WSL will enable designers to choose among multiple options within each of eight sub-assemblies, assigning a wall number to each combination of components. WSL is an ambitious project, but the framework is already in place to grow the market for masonry by simplifying and standardizing the approach to designing masonry walls. Later in 2017, IMI will publish the Wall Systems Library on its website, imiweb.org, and it will also be available from the BIM-M website, bimformasonry.org.